On this important day in our calendar – World Optometry Day – it is worth reflecting on how research is helping our mission to help the whole world see clearly. You would think it pretty obvious that good vision is an important asset in the world of work and study. You would think so, but it is the proof that makes people sit up and take note. So it was with the study organised by Clearly last year on how the provision of glasses impacted on the work performance of Indian tea workers. Look I will be honest – it gave us the result we hoped for when we launched it. But it went beyond our expectations. The simple provision of glasses improved the tea workers’ productivity by 21.7 per cent. For those over 50 the increase was 31.6 per cent. It represented the largest ever recorded productivity increase from any health intervention. And we calculated that If the improvement was replicated across India’s crop industry it would mean an extra $20 billion in growth from productivity gains alone. Further afield, we found that if glasses were given to agricultural workers it would generate $44 billion for the Commonwealth’s 53 countries and $180 billion worldwide. The findings came in a study called PROSPER [PROductivity Study of Presbyopia Elimination in Rural-dwellers] published in the Lancet Global Health. I would say that the landmark results, well publicized in the national and international press, have been extremely well-received and we are beginning to see signs that its message is resonating in the business world. We are just 120 hours away from another red-letter day – our Sightgeist event at the London Science Museum. We are bringing together entrepreneurs, technologists, development leaders, business chiefs and governments to expose the scale of the world’s vision crisis and the opportunities for tackling it. Among an impressive array of speakers will be a representative from Williams-Sonoma, the international retailer of home products, who have announced plans to get glasses to 20,000 of their workers in India and the Philippines. Wonderful news and well done to them. Many more will follow. On the back of the tea workers’ study we launched a major effort to persuade companies to offer work-based sight tests to their employees for the quite simple reason it is in their economic interests. We hope, and have good reason to believe, that our research efforts are acting as a spur to the business community. They, like us, would have expected that glasses must have a beneficial impact. But with the authority of peer-reviewed science proving that fact, it would be negligent not to take action. The conversation is shifting. 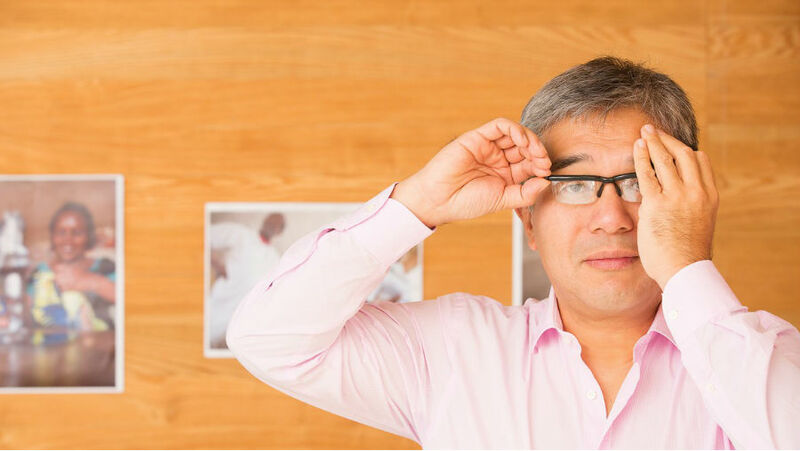 From being seen as a relatively boring medical device, glasses are being transformed into an exciting economic tool. This research, and more like it in the future, should have a game-changing impact on the way companies prepare their staff for work.